There are several aspects to learning Spanish that are all important. 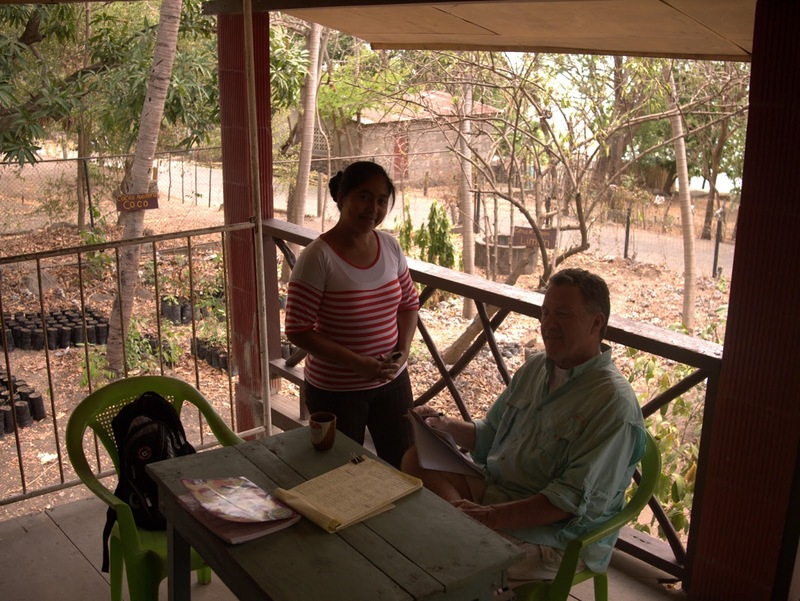 The first, and most vital, is to learn as much as possible, to become as fluent as one can be, to make understanding the magical world of Nicaragua more open and understandable. So many people, especially tourists, come to Nicaragua without understanding much of the language, bumbling their way through the country, dependent upon the translation skills of someone else. Once a person can manage the most basic of the Spanish language skills necessary to survive as a backpacker, tourist, or worker without the aid of others, doors begin to open. Suddenly, Nicaragua consists of more than Granada, Leon, and a few beach towns. There are places to go, things to do, and increasingly, as one learns to speak the language, people with whom to share. As those who live in Nicaragua for long periods can attest, the best that Nicaragua has to offer is off the beaten path. It is at once the geography, the landscapes, and the people. The key to the most intimate levels of sharing culture is language. Spanish classes at Apoyo Spanish School are held in the natural setting of Laguna de Apoyo. Photo Jeffrey McCrary. 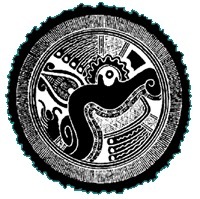 Languages have many dimensions and interconnections. Thankfully for those who speak very little Spanish, Nicaragua is very open and friendly to visitors with little language capacity, but the "real Nicaragua" is awaiting the people who can communicate effectively. Furthermore, work requirements also demand excellent language skills. Basically, every level of accomplishment in a language opens the door to higher, richer and more complex levels. 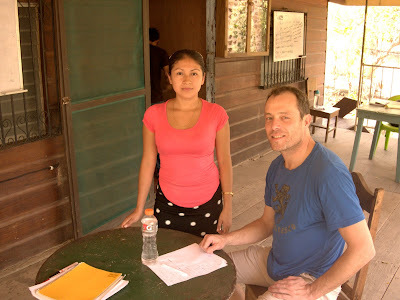 Apoyo Spanish School is the oldest of the intensive Spanish schools in Nicaragua. It is the best place to learn, for the person who is serious about learning, regardless of the level. We have special courses for beginners, as well as tailor-made courses for the more advanced students. Advanced students can go deep into literature and technical discourse with teachers who are prepared for the most subtle issues of the language. 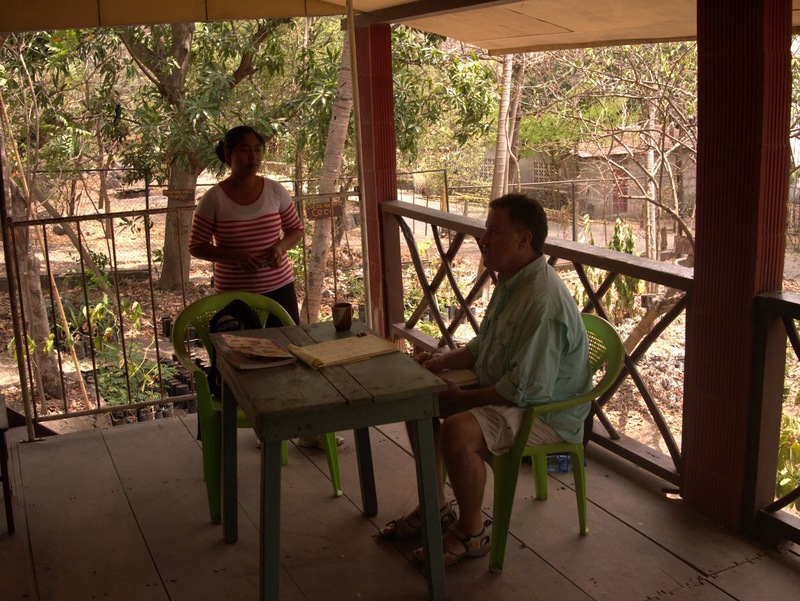 We even teach the teachers-most of the long-lasting Spanish schools in Nicaragua have benefited from training given to their teachers by us. The lake is just steps away from us at Apoyo Spanish School, permitting students to combine rigorous courses with relaxing swims, kayaking and scuba diving. Photo Jeffrey McCrary. Often, people think they will go from "hola!" to giving public speeches and participating in debates in Spanish in merely a couple of weeks. First of all, learning rates differ among people dramatically. Young adults learn language more rapidly than older adults, although our experience has proven that even into the eighth decade of life, people can improve their Spanish school measurably in just a week of study. Secondly, the rates at which students learn may be limited by what the students do outside the class period. Those who insist on staying in Spanish all day, taking only brief breaks to converse or communicate in their native language during the day, learn much more than those who spend their evenings chatting with other non-Spanish speakers. After classes, time at the lake, in the forest, visiting the nearby towns, or helping out with tasks at Estacion Biologica are all awaiting. Photo Jeffrey McCrary. Sometimes, Spanish students in an intensive language program such as at Apoyo Spanish School may feel daunted by the concentration on verb conjugations in their Spanish class. It may be difficult for a beginner to appreciate that verbs in Spanish are much more loaded with meaning than in English. Our classes go beyond just pointing and grunting, to provide a solid foundation in the Spanish language so the student can make further progress effectively, after going on beyond a single round of Spanish classes. Spanish classes with individual instruction may be exhausting, but a huge learning experience, which benefits the student greatly. Photo Jeffrey McCrary. The objectives for learning a language may vary considerably among people, as well as their learning rates and their levels of management of the Spanish language when entering in classes at Apoyo Spanish School. We offer group classes for absolute beginners, in an economical program that also includes lots of volunteering, which we call the "backpackers' Spanish program". This course, at a considerable discount from the one-on-one classes, incorporates dorm stay and lots of volunteering to make the program more economical for the traveler on a budget. Why study Spanish in a stuffy room when you can have fresh air and nature around? Photo Jeffrey McCrary. In contrast, one-on-one classes can be had for Spanish students at any level. Teachers make a study plan with the student after an initial evaluation and consideration of the ability and level of the student. Additionally, homework is assigned to give the student direction in after-hours practice. Furthermore, the activities and informal conversations with the staff and friends reinforce the language skills learned in the day. 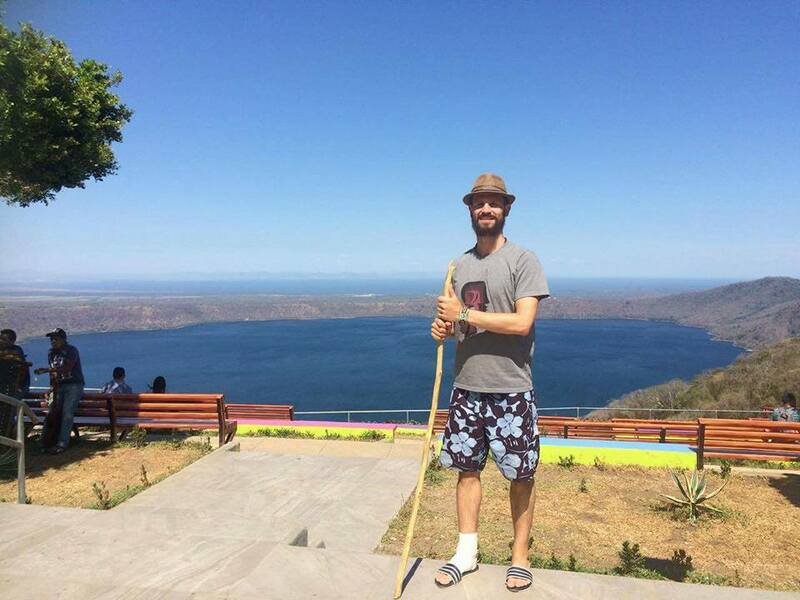 Among the greatest attractions in Nicaragua is Laguna de Apoyo. Come, study, and enjoy! Photo Andras Dorgai. When we receive a wild animal to rescue at Estacion Biologica Laguna de Apoyo, we can not always predict what will happen. Sometimes, the animals are injured so badly that little can be done, beyond securing a peaceful hospice for its last hours of life. But, sometimes, animals with injuries may recover, even when their injuries may have appeared gruesome or grave, initially. The owl brought to us last week is another surprise of this sort, with an unexpectedly happy ending. Perhaps the most common of the owls in the inhabited portion of the Laguna de Apoyo Nature Reserve is the Pacific Screech-Owl (Megascops cooperi). Its range is limited to the dry tropical forest habitats, farmlands and even residential areas, near the Pacific coast from the Isthmus of Tihuantepec to northwestern Costa Rica. This species is called corococa locally, in homage to its lively call, which is often answered in kind among the members of a social group. It consumes mostly arthropods, although it is thought to take small rodents, as well. A biological control over some potential nuisances may be managed by its presence, making it a beneficial species to have nearby. 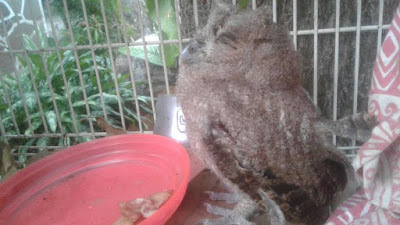 Nonetheless, local people often kill any wildlife within view, especially when associated with negative myths, as are owls in the Nicaraguan culture. Although the Pacific Screech-Owl is not active during the daytime, it often roosts in plain view, on low branches of trees, where its camouflage may keep it unnoticed by humans and other fauna. Nonetheless, if seen, it is likely that Nicaraguans, full of myths about owls and generally hostile to any wild animals within view, will attack an owl with intent to harm. In fact, the Pacific Screech-Owl is among the more commonly received bird species by us at GAIA. The subject of this report, brought to us just a couple of weeks ago in Laguna de Apoyo Nature Reserve, was an injured fledgling. Juvenile Pacific Screech-Owl, rescued in Laguna de Apoyo Nature Reserve, Nicaragua. Photo Jeffrey McCrary. 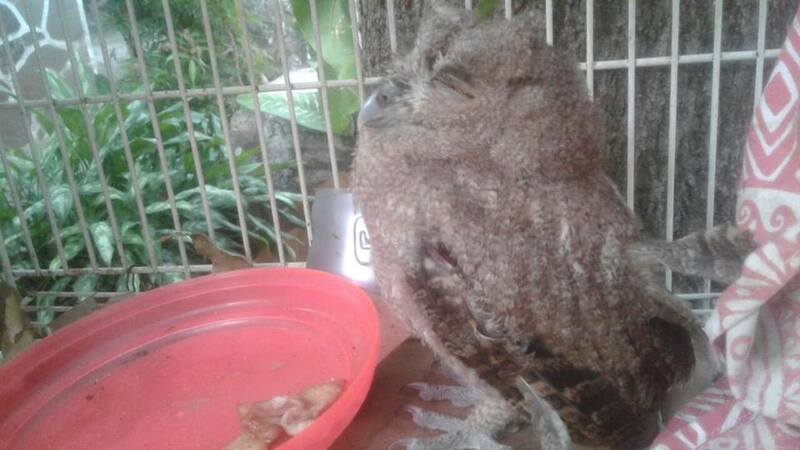 This young owl, surely having been flying only days of its life, was found by neighbors, Claudio Arnaudo and Jimmy, who work at a nearby hotel in Laguna de Apoyo. The poor bird was plagued with lesions of different kinds. One eye had swollen shut from trauma. Another lesion, possibly caused in a fall, was evident beneath the beak. A wing was bruised and missing about ten of its flight feathers. As owls tend to be, the little animal was hostile to all who approached. Its injuries impeded flying, however, so there was little it could do, beyond menacing looks and tight grips with the sharp talons, against those who bothered it. The Pacific Screech-Owl perched on a wall at Estacion Biologica, Laguna de Apoyo, Photo Pablo Somarriba. After several days, during which it refused all food offered, we thought that the poor owl would soon be dead. Yet, it maintained strength. 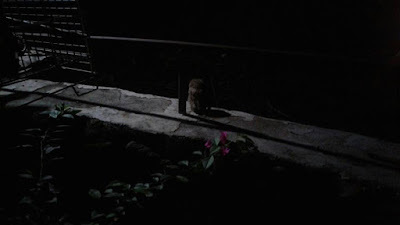 Then, one evening, we noticed that the owl was communicating with the local, wild owls. Small peeps were emanating from the cage, in evident response to the characteristic calls from the trees. The wing, still missing half its flight feathers, had nonetheless recovered mobility and some of its strength. We left the owl out of its cage to see what would happen. After a few false starts, the owl was gone. The following dawn, however, the owl appeared once again, at the same place where it was left free. Its adventure over, it had returned to familiar, if confined, surroundings. This time, the owl was placed back into the cage, but with the cage door maintained open, in case it developed an urge to go back to the wild. The next evening, owls were heard and spotted nearby. The fledgling owl was once again taken out and placed outside the cage, and this time, we watched as the other owls flew in. The injured owl had friends, this was clear, and this time, it took flight and left with them, not to return. One more wild bird in the forests of Nicaragua, mission accomplished. In the following video, the fledgling owl is approached by another owl. Whether the owl was fed or simply visited, what is clear is that a firm association was developed. The story of this fledgling owl, adopted by the local owl-family, was unexpected. Furthermore, we are left to wonder if, indeed, the owl had been getting fed by the local owls through the bars of the cage, all along. That possibility would explain why the health of the owl improved, even though it seemingly was not eating. Regardless, we are glad that the owl could enjoy another day as a free animal, to live and die in the forest instead of in a cage. One more animal that was a victim to the aggression of senseless people was saved and returned to the wild. This owl, given another chance at life in the wild, is free in its natural environment, thanks to the attentiveness and kindness of Claudio and Jimmy. Wild animal rescue, sometimes, can be very gratifying. 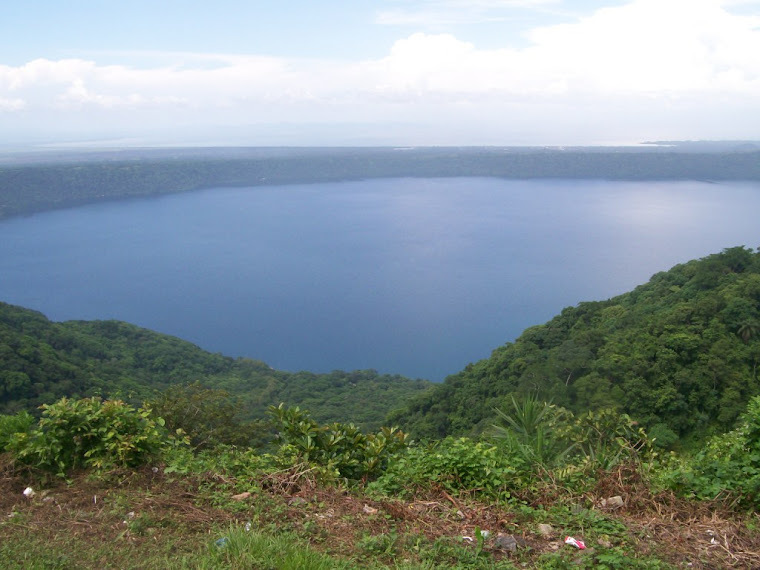 We at GAIA are working to make Laguna de Apoyo Nature Reserve, and other places in Nicaragua, friendly habitats for wild nature. You can help us to reduce human-wildlife conflicts, provide environmental education, and conduct scientific research on topics of importance to the environment in Nicaragua. Please join us by sending a contribution or volunteering.